Public Service: Oregon OEM Needs More Hams! "I grabbed a charged battery for my VX-5, and the call came over the radio again," Frederick said. He responded, and the hiker on the other end, Nathan Rischling, KDØHFM, of Nellis Air Force Base in Nevada, told him he'd misread the elevation on his topographical map, had ended up on a very steep and rough area, had hurt his hand on a cactus, and could find no safe way out of his situation. He had a GPS, however, and was able to provide Frederick with his precise coordinates. Rischling said he had a day's worth of food and water but needed help getting off the mountain, as he would not get back to his starting point before sundown and, he didn't think his GPS battery would last out the trip. "KDØHFM stated that he did not take a conventional trail and was using a topographical map and GPS for guidance," Frederick explained. Frederick said he knew from experience that a call to the Las Vegas search and rescue would expedite the process, so he put out a call on the WIN System for any Las Vegas station that could make the call. James Freeman, KG7EWP, promptly came back, and Frederick handed off the emergency traffic. Freeman called 911 and spoke with search and rescue, and stood by until the situation was resolved. Within 15 minutes a rescue helicopter was on the way. The WIN System is a series of 90 linked, or inter-tied, repeaters -- most on UHF (70 centimeters) -- that cover a substantial portion of California, 16 other states, and four countries around the world. It is owned and operated by Shorty Stouffer, K6JSI. KF6QBW is an affiliated repeater station with the WIN System. Oregon Public Broadcasting reports that when Oregon's Office of Emergency Management coordinated the largest-ever test of the state's emergency communications network, it found that some regions need more radio amateurs. "While the exercise was considered a success, it also shed light on one of the system's vulnerabilities -- a lack of qualified Amateur Radio operators east of the Cascades," the OPB story by David Nogueras said. The exercise scenario over the weekend of November 2-3 was a crippling cyber attack on the power grid that takes out telephone and Internet access. In such situations, emergency planners "have identified Amateur Radio as the fallback method of communication," the OPB story said. The broadcast story pointed out that while Oregon has some 700 ARES volunteers, most are in Western Oregon. Morrow, Grant, and Jefferson counties have no volunteers, however, and other counties have just one. "If we don't have active amateurs who know what to do in that kind of a situation and are part of the county organization, then we may not have any communications in those counties, and that's a real concern," Fred Molesworth, AF7S, with the Oregon Office of Emergency Management, told Oregon Public Radio (and ARES/RACES Emergency Coordinator for the OEM unit). He asked would-be volunteers to contact the Oregon Office of Emergency Management. Oregon ARRL Section Emergency Coordinator Vince Van Der Hyde, K7VV, said Oregon has ARES/RACES groups in about 25 of the state's 36 counties, and is trying to build groups in the counties with very low amateur populations. He says local radio clubs are natural places to look. "But, we are beginning to think that we should look more and more at those who are already involved in disaster related work and then recruit them into Amateur Radio," he added, such as those on CERT teams. Van Der Hyde said ARES/RACES also sponsors a Hamfair flea market each October, and this year, for the first time, it was expanded into a disaster preparedness fair, with a series of seminars on both amateur and non-amateur disaster-related training, operations and equipment. "It appears to have gone well, and we'll expand that program in October 2014," Van Der Hyde said. "We're also pushing an individual training program for operators and a county unit certification program for each county ARES/RACES group," Van Der Hyde added. "All of which will take years to accomplish!" Technology marches on and, any controversy aside, operating a remote station via the Internet has become more common in recent years. In the ARRL November Sweepstakes CW event last weekend, a ham who lives in Uruguay remotely operated a station in the US, making a clean sweep in the process. 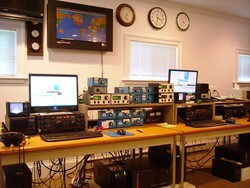 Tom Morton, K6CT/CX7TT, who lives near Montevideo, logged into one of the operating positions at K4VV in Virginia. Operating as W4YY at a distance of nearly 5200 miles, he managed a clean sweep. "I don't know if this is a first, but it would seem to be. It also demonstrates the efficacy of remote contesting," said Mike Lonneke, WØYR, the K4VV Remote Contesting Project Manager. According to Lonneke, Morton served for many years as an airline pilot, and later was tapped to be a flight instructor. He's a DXpeditioner and contester. Lonneke says the operating experience from the remote end "is transparent." Several remote operators have run K4VV as a multiop, and W4GOV once operated K4VV -- the station of Jack Hammett, K4VV -- during Field Day 2013 from Saudi Arabia. The station has three positions for remote operators, who can control everything, including an impressive array of antennas. (For more information on K4VV, see "Contesting by Remote Control," by Mike Lonneke, WØYR, September/October 2013 NCJ). In a turnabout situation, Tree Tyree, N6TR, remotely operated VY1EI in Yukon Territory, Canada, from his home in Oregon. Eric, the station owner, was also on hand as they logged 1288 QSOs and a clean sweep! But wait! There's more! Hal Offutt, W1NN, remotely operated his home station in Medina, Ohio, in this year's SS CW from Tokyo -- a distance of more than 6500 miles. No word on how he did. NASA's Richard Mastracchio, KC5ZTE, Russia's Mikhail Tyurin, RZ3FT, and Japan's Koichi Wakata, KC5ZTA, arrived at the International Space Station November 7, expanding the ISS crew complement to nine members. The new crewmembers carried the torch that will be used to light the Olympic flame in Sochi, Russia, for the 2014 Winter Games. The arrival of Mastracchio, Tyurin and Wakata brings the station's crew complement to nine, marking the first time since October 2009 that so many people have served together aboard the space station. A Dnepr launcher set to lift off from Dombarovsky, near Yasny, Russia,on November 21 will carry more than two dozen satellites from 13 countries. Individual satellite teams are now in Yasny preparing their payloads for launch. Several of the satellites will carry Amateur Radio payloads, marking this as the largest single deployment of ham radio satellites. 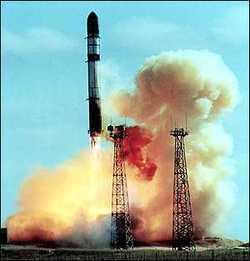 Paving the way for this month's event was the August 22 Dnepr launch of the KOMPSAT-5 satellite from Korea -- the first Dnepr launch in 2 years. This month's launch had been postponed for more than a year to work the wrinkles out of the Dnepr program. The DubaiSat-2 Earth-imaging satellite will be the principal payload of this cluster mission. Some of the satellites headed into orbit will be contained within the Italian UniSat-5 microsat package. UniSat-5 will include a pair of UHF transceivers operating 9k6 GMSK AX25 protocol. From "PocketQube" launchers, UniSat-5 will deploy several smaller satellites, and one of the smaller satellites will release yet another satellite, reminiscent of decorative Ukrainian eggs within eggs. UniSat-5 will deploy Eagle-1 (BeakerSat-1), Eagle-2 ($50Sat), QubeScout S1, estar-2 (CW and 1k2 AFSK UHF downlink), Wren, and PUCP-Sat-1, which in turn will disgorge Pocket-PUCP, a tiny spacecraft built by students in Peru that will carry four temperature sensors and transmit the data using a 10 mW CW UHF transmitter using 30 kHz FSK. Scheduled to be among the other Amateur Radio-payload carrying satellites is FUNcube-1, a 1U CubeSat that is a collaboration between AMSAT-UK and AMSAT-NL. It will carry an "educational beacon" (1200 baud BPK -- daytime operation) and a 20 kHz wide U/V inverting SSB/CW transponder running 300 mW PEP (nighttime operation). A project begun in 2009, FUNcube-1 will provide a signal directly to schools, with the "target audience" students at the primary and secondary levels. 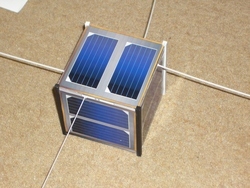 FUNcube-1 is the middle 1U CubeSat of three sharing a 3U launch vehicle pod. The other two are ZACUBE-1 -- the first South African satellite -- and HiNCube from Norway, which will identify and transmit housekeeping data in the 70 centimeter band in CCSDS protocol. ZACUBE-1, in addition to carrying VHF and UHF communication equipment, has a 20 meter beacon that will transmit on 14.099 MHz. Another Amateur Radio satellite, Delfi-n3Xt, is a 3U CubeSat developed by the Technical University of Delft in the Netherlands. It will feature a 40 kHz wide U/V transponder that will be activated after other experiments are completed, as well as a high-speed S-band downlink. The ARRL Atlantic Division Convention on Saturday, November 9, will be a virtual convention with four webinar sessions, Atlantic Division Director Bill Edgar, N3LLR, has announced. This marks the second year that the Atlantic Division is taking its convention to cyberspace. Edgar says the response was "great" last year, and no one missed the flea market. "There is a lot to be said in face-to-face meetings, but this format permitted us to reach more members for the educational sessions," Edgar allowed. Those taking part will need to register for the individual sessions on GoToMeeting.com. The first session will be "Welcome and Announcements." The winners of the Atlantic Division Awards -- Amateur of the Year, Keith Freeberg Educator of the Year, Technical Achievement, and The Grand Ol' Ham awards -- will be announced at this session. This session will be held from 9 until 9:20 AM. Participants need to register for this session. The second session will be "The Boston Marathon and Amateur Radio." 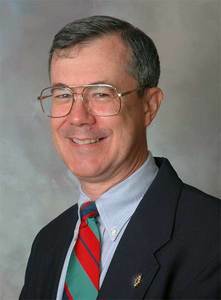 The presenter will be ARRL Chief Operating Officer Harold Kramer, WJ1B. An Amateur Radio volunteer at the Boston Marathon in 2012, he will describe his thoughts and reactions about serving at an event where an act of terrorism occurred. This session will be held from 9:30 through 10:40 AM. Participants need to register for this session. The third session will be "Project Management for Amateur Radio Operators." Through his presentation, Paul Beeman, W2PB, will explain how to manage the project rather than have the project manage us. Every club should have officers and members listen in to this presentation. This session will be held from 10:50 AM through noon. Participants need to register for this session. The fourth and final session will be "Modern Day NTS." Joe Ames, W3JY, will talk about the National Traffic System (NTS) and share his thoughts on why and how NTS remains very much relevant in today's Amateur Radio environment. This session will be held from 1 until 2:10 PM. Participants need to register for this session. Director Edgar advises that if you are interested in attending any of these sessions to please register early! A new version of the TQSL software for use with Logbook of The World (LoTW) is available, and it has major changes. This latest update, TQSL 2.0, has been revamped to combine TQSL-Cert and TQSL into a single program, adds additional documentation for certificate operations, and includes a new, task-oriented user interface. Where previous versions had two icons on your desktop -- TQSL and TQSL Cert -- the new version has just one. You'll now be able to log onto your user account from TQSL. In addition, icons within the TQSL user window are larger and easier to identify. With v 2.0, you get auto-uploading of TQ8 log files and TQ5 certificate requests. In addition, there's automatic dupe checking to prevent previously uploaded QSOs from being uploaded again, saving LoTW server resources. TQSL 2.0 will check for updates in the software and configuration files and notify the user. Once the user approves the update request, TQSL does the rest. Individual station locations -- if you have more than one registered -- are managed in a folder tree format. TQSL 2.0 also incorporates cross-checking to prevent users from entering invalid zones, states or provinces. TQSL 2.0 will back up your call sign certificates, station locations and uploaded QSO log, so it's easy to move from one computer to another or recover from a hard disk failure. It's easy to upgrade. Install TQSL 2.0, and the installer will automatically uninstall older versions of TQSL while preserving your configuration information. Several things will be obvious the first time you run the new TQSL program. The user interface is completely different, with buttons to carry out major operations. It also provides tabs to access operations for Station Locations and Call Sign Certificates. The Station Location tab displays your station locations and associated call signs. If you're new to LoTW, instructions on the ARRL website explain how to participate. More than 60,000 radio amateurs use LoTW to confirm their contacts and to apply for awards, such as DXCC. Nearly 78 million contact confirmations have resulted to date. The annual Frequency Measuring Test (FMT) will take place on November 13, at 0300 UTC. See page 88 of November 2013 issue of QST for the schedule and full details. The FMT will employ a "roundtable" format, with all transmitting stations close to the same frequency. The four test signal stations will be K5CM in Oklahoma, W8KSE in Ohio, W6OQI in California and WA6ZTY in California (40 meters only). The test will begin near 7055 kHz, then move to 80 meters near 3598 kHz 30 minutes later, then to 1845 kHz 15 minutes later. Participants may submit their measurements and soapbox comments (by 0300 UTC on November 17) using the data entry website provided by Bruce Horn, WA7BNM. 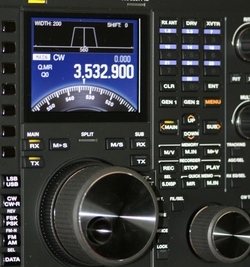 K5CM's website has more information about frequency measuring techniques. Helping to alleviate concerns that it rarely polices the Citizens Radio Service (CB), the FCC has fined an Alaska CBer $500 for "willfully and repeatedly" operating a non-certificated CB transmitter with an RF linear amplifier which, the Commission said, violated federal law and its rules and "voided his authority to operate his CB station." In a Forfeiture Order released October 30, the FCC noted that the CB operator, Glenn S. Yamada, of Kenai, Alaska, did not deny the violations but stated that he "did not intend to violate" the Communications Act of 1934 or FCC rules. Yamada also told the FCC that he was unable to pay the initial forfeiture of $12,500, imposed in a July 18, 2012, Notice of Apparent Liability for Forfeiture (NAL). The Commission said its agents had identified Yamada as the source of a signal that the Commission's High Frequency Direction Finding Center "observed interfering with safety of life operations on the frequency of 21.965 MHz [sic]" in January and February 2012. The FCC said that based on financial documents Yamada provided, it found "sufficient basis" to reduce the fine to $500, and it gave Yamada 30 days to pay or have his case turned over to the US Department of Justice for enforcement of the forfeiture. 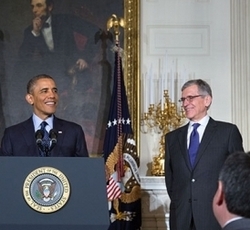 Sworn into office November 4, Tom Wheeler, the new FCC chairman, has named current Wireless Telecommunications Bureau Chief Ruth Milkman as his chief of staff. Replacing Milkman as acting Wireless Bureau chief will be Roger Sherman, a communications attorney with strong links to the Democratic Party. 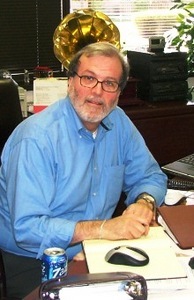 The WTB oversees Amateur Radio within the FCC. Sherman previously served as the Democratic Chief Counsel to the House Committee on Energy and Commerce and as Democratic Staff Director to its Subcommittee on Communications and Technology. Read more. "We will be on the air commemorating our 50th anniversary of Radio Astronomy Science," explains Angel M. Vazquez, WP3R, the head of telescope operations and RFI/spectrum manager at the facility. "We will operate 20 meter phone only at around 14.250 MHz." The observatory is inviting radio amateurs to operate the station. 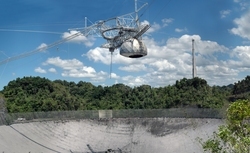 Vazquez says the KP4AO ops will be transmitting right from the control room of the William E. Gordon telescope, the world's largest and most sensitive radiotelescope, commissioned in November 1963. The 31st annual AMSAT Space Symposium and Annual Meeting took place November 1-3 in Houston. Just prior to the gathering the AMSAT Board of Directors met October 31 and elected senior officers for 2013-2014. Barry Baines, WD4ASW, will continue as AMSAT-NA President. Others elected included Drew Glasbrenner, KO4MA, Vice President Operations; Gould Smith, WA4SXM, Vice President User Services; Tony Monteiro, AA2TX, Vice President Engineering, and Frank Bauer, KA3HDO, Vice President of Human Spaceflight. The gathering celebrated the 30th anniversary of Amateur Radio involvement in human spaceflight and the evolution of Amateur Radio into a successful program aboard the International Space Station through the Amateur Radio on the International Space Station (ARISS) program that supports educational outreach and provides opportunities for informal contacts between astronauts/cosmonauts and Amateur Radio operators and students. Bauer's ARISS presentation included in-depth discussions with retired NASA astronauts Owen Garriott, W5LFL, and Bill McArthur, KC5ACR, former AMSAT President Bill Tynan, W3XO; Lou McFadin, W5DID, and ARISS telebridge operator Tim Bosma, W6MU. Garriott was the first astronaut (on STS-9 in 1983) to use Amateur Radio to communicate with radio amateurs on Earth, leading to the past SAREX (Shuttle Amateur Radio EXperiment) and current ARISS programs. The Daily DX Editor Bernie McClenny, W3UR, offers some basic recommendations to avoid problems when trying to work the "many juicy DXpeditions" that are active (see The Daily DX Calendar) this month. "DXers do not depend on the cluster spots to tell you who is on what frequency," McClenny says. He notes that it's fine to use DX spots as a reference point, but to make sure you know for certain which station you are hearing/calling, so that you log the correct call sign. Don't assume. Also, DXpeditions all work split and typically listen a few kilohertz up. Pay attention to your VFOs, and don't transmit on top of the DX station. "If someone does transmit (calls) on top of a DXpedition, you are better off not getting involved and making things worse," McClenny advises. "Don't be a DX pileup policeman!" He also has some advice for DXpedition operators. "DXpeditioners, before firing up on a frequency make sure your transmit frequency is clear. Listen around to make sure some other DXpedition is not too close to your transmit or receiving frequencies." And, he adds, "Please send your call sign often!" McClenny says that ultimately the DXpedition operator is responsible for the pileup. "Remember it takes two to make a QSO, and we DXers at home and those on DXpeditions have certain responsibilities to keep the confusion at a minimum, especially with all the DXpeditions that will be QRV [on the air] during this month." Citing increased job and family commitments, Ohio Section Manager Frank Piper, KI8GW, will step down from his position on January 1. Piper, of Pickerington, has been the Ohio Section Manager since July 2009, when he was tapped to complete the term of office after the death of Joe Phillips, K8QOE. Piper subsequently was elected as Section Manager in 2010 and 2012. Succeeding Piper will be Scott Yonally, N8SY, of Mansfield, who will complete the current term of office that ends on September 30, 2014. In accordance with ARRL Field Organization procedures, section manager vacancies between elections are filled by appointment. Membership and Volunteer Programs Manager Dave Patton, NN1N, in consultation with Great Lakes Division Director Jim Weaver, K8JE, appointed Yonally, who has been an assistant section manager since 2009. 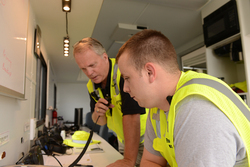 Yonally also holds appointments as Official Relay Station and Official Emergency Station and previously served as Public Information Coordinator and District Emergency Coordinator within the Ohio Field Organization. 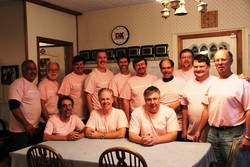 Top contester Tim Duffy, K3LR, reports that Team K3LR supported National Breast Cancer Awareness Month by wearing their pink "Powered by Icom" shirts during the CQ World Wide DX Contest (SSB) the weekend of October 26-27. "Last weekend the HF Amateur Radio world enjoyed some of the best DX conditions in many years," Duffy told ARRL. The K3LR team competed in the Multi-Multi category, finishing on the top in that category for eight years in a row. "Pending final log checking it looks like 9 years in a row now, with a new USA record," he added. If the claimed score holds up, Team K3LR will have topped its previous record, set in 2011, of 36.3 million points. In the article, "ARRL November Sweepstakes Marks 80 Years!" in the October 31, 2013, edition of The ARRL Letter, Halloween gremlins somehow got into the works (ie, your editor slipped up). The word below "A Sweepstakes Primer" describing the element following the sequential contact serial number in the ARRL November Sweepstakes exchange is "precedence." 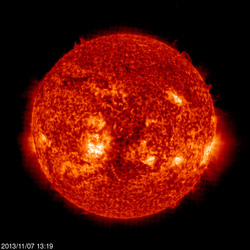 Solar Sage Tad "Let the Sunspots In" Cook, K7RA, Seattle, Washington, reports: Solar activity eased off over the past week, with average daily sunspot numbers declining nearly 30 points from 161.6 to 131.7. Average daily solar flux was down more than 12 points from 158.3 to 146. Geomagnetic indicators were quiet. Still, activity remains strong. The last 3 days of the reporting week (November 4-6) had increasingly stronger sunspot numbers, all higher than the week's average. The same is true for solar flux values, with numbers over the past few days higher than the average for the week. Recently we noted a near-term peak in solar flux at 155 predicted for November 22-25, but now that peak has moved, and values predicted for those dates are around 140. The new peak is predicted for the next few days, at 155 on November 7, 150 on November 8-9, 155 on November 10, 145 on November 11-13, 140 on November 14-15, 135 on November 16, 130 on November 17-20, 135 on November 21-22, 140 on November 23-28, and 145 on November 29 through December 1. Predicted planetary A index is 8 on November 7, 5 on November 8-10, 8 on November 11-13, 5 on November 14 through December 2, 8 on December 3-4, 5 on December 5-6, and 8, 10, 8 and 8 on December 7-10. On Friday we will update the forecast and pass on observations from readers.